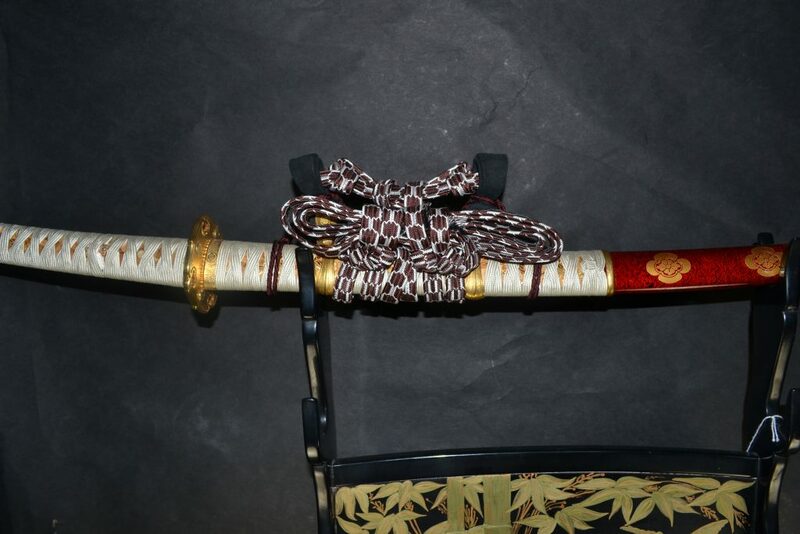 This is a copy of the original that was made between 7th & 8th century. 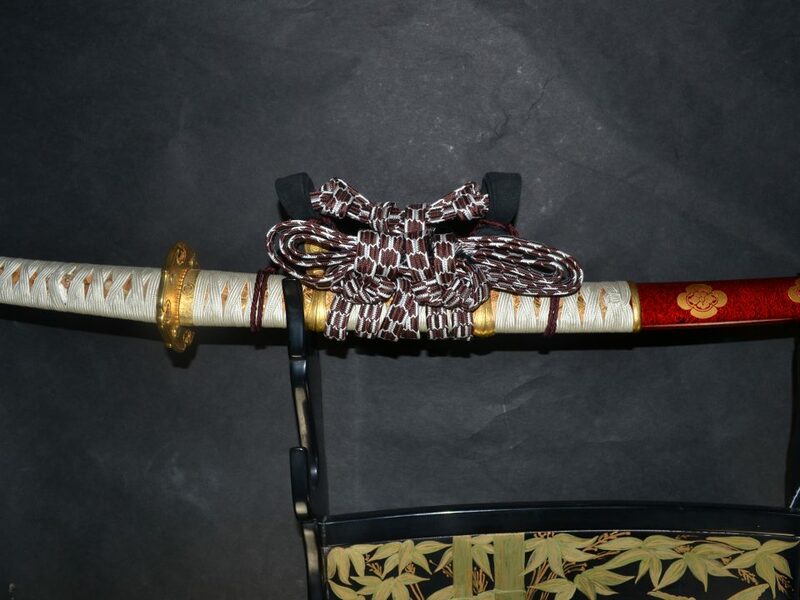 It was made as a tachi. 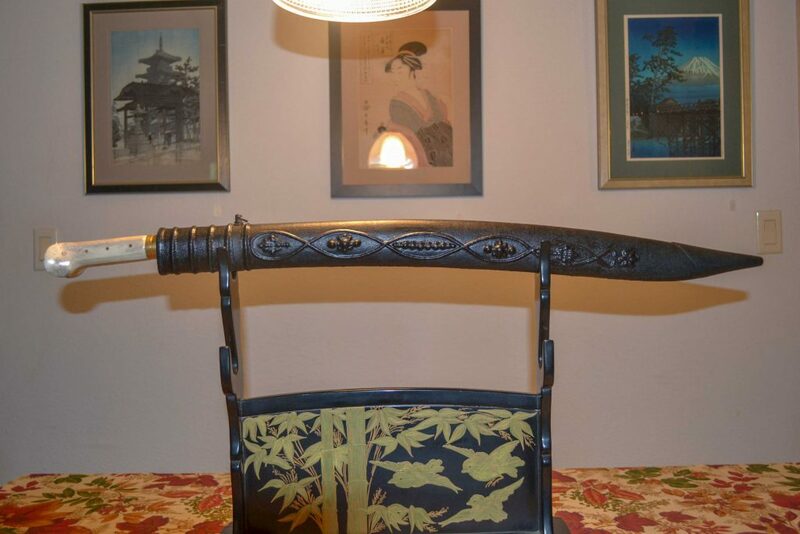 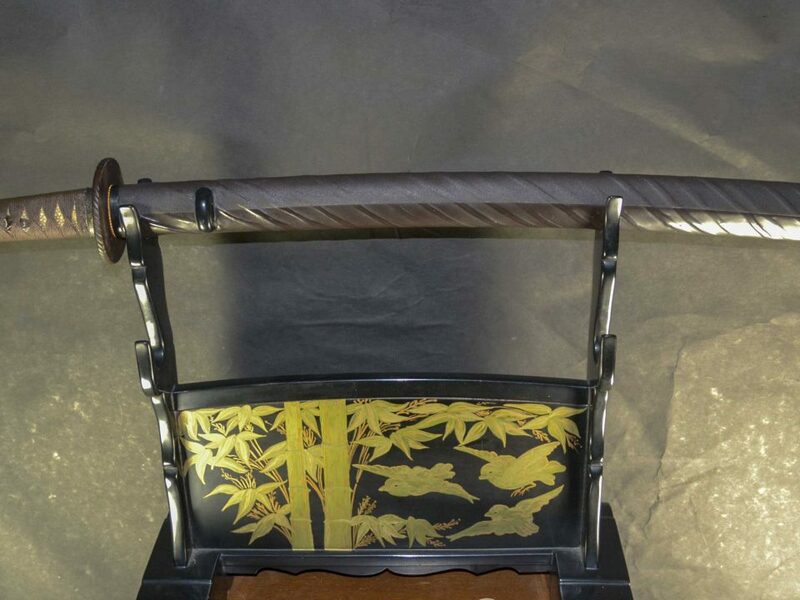 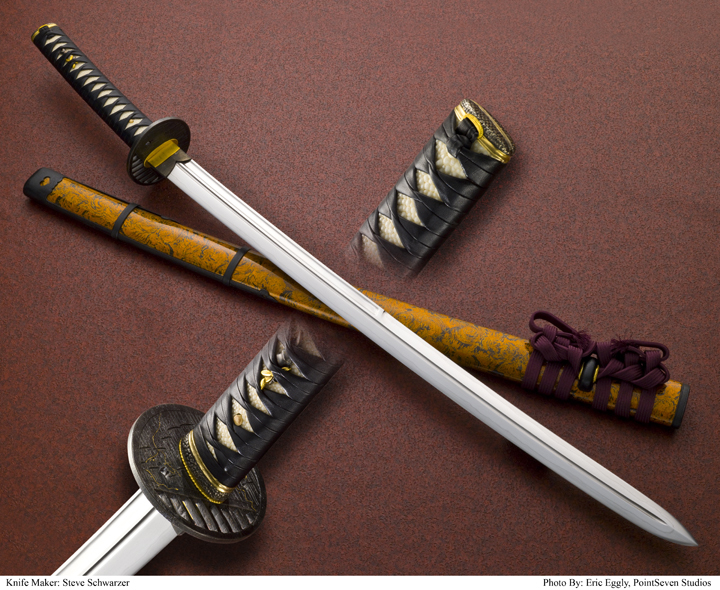 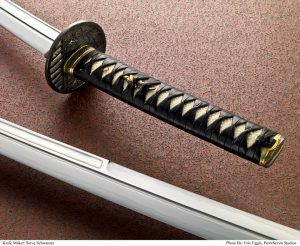 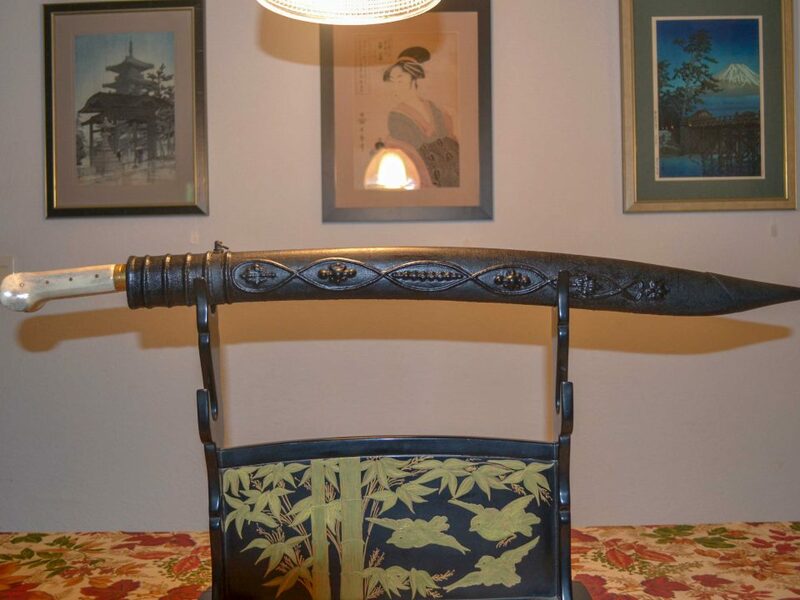 It is made out of 1086V, all hand cut bo-hi, custom furniture, saya and hand made tsuba (tsuba is on tsuba page) with a design of an old bamboo fence with 24K gold vines.